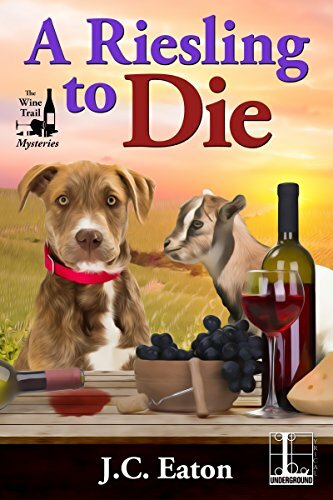 Welcome to the Wine Trail Mysteries! These lighthearted cozies, set on Seneca Lake, New York, will make their debut in March 2018. Twenty something screenwriter Norrie Ellington thought she had it all until she wound up babysitting her sister's winery in Penn Yan, New York and discovered a corpse in one of their vineyards. So much for doing a family member a favor. Now poor Norrie has a murder on her hands as well as a looming screenplay deadline. A Riesling to Die will be followed by Chardonnayed to Rest and Pinot Nomoir. Look for murder, mystery and laughs from J.C. Eaton beginning this March.